A Netflix original detective variety show 'Busted' has received much love for the content they showed in their season 1. Starring Yoo Jaesuk, Ahn Jaewook, Kim Jongmin, Lee Kwangsoo, Park Minyoung, EXO's Sehun and gugudan's Sejong, the chemistry of the casts were top-notch too. The show has been confirmed for their season 2 with the same cast and only just recently, a new cast has been revealed to join the show's new season. It was no other than Lee Seunggi. 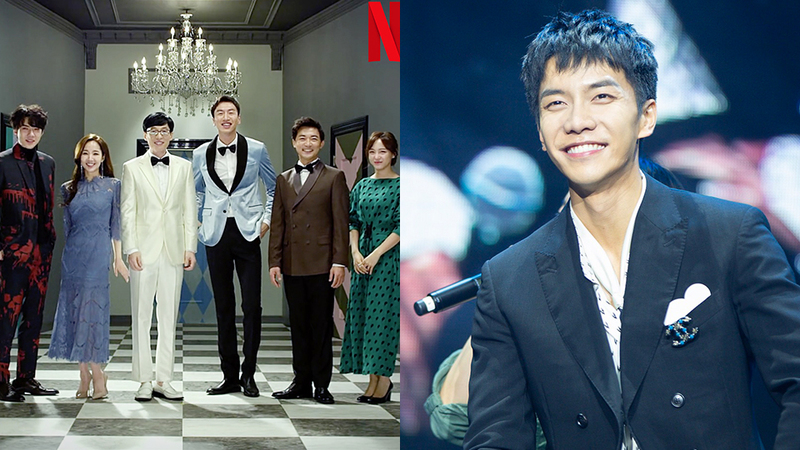 'Busted' season 2's producer revealed at a Netflix event that took place in Singapore that "Lee Seunggi has joined the season 2" and "As expected, Lee Seunggi came without knowing anything. All he knew was that he was there to join in as a new detective member. Even though we could see that he is working hard in it and looked smart, he also showed us the sloppy side of him." Park Minyoung who also attended the event commented that "We have already filmed for an episode and it feels like he was originally one of us" and added that "I didn't have a peer so he became a good friend and a partner to me." Are we excited for Lee Seunggi's addition to the show?